| SHARAN'S SAMAYALARAI |: Onam Sadhya ~ The grand feast - Event Announcement !! Onam Sadhya ~ The grand feast - Event Announcement !!
" Onam Sadhya ~ The Grand Feast !! " It gives me a great pleasure to thank you all for participating in my on-going event "Celebrating Independence Day" with fun and zeal, I am back with yet another festive theme "Onam Sadhya - The grand fest !!". I need all your support for this event too. Onam is the biggest and most spectacular festival of the state of Kerala. It is the harvest festival Celebrated in the month of Chingam, the first month of Malayalam Calendar. It is celebrated with extreme enthusiasm and zeal throughout the state irrespective of caste, creed and community. It is a thanksgiving festival, celebrated in commemoration of a glorious past and as a tribute to the sacrifice of the Demon King Mahabali by every Keralite wherever in the world he may be. It is really a merry making festival with wonderful celebrations including intricate rituals, grand feast, songs, dance, games and fairs organized in a colorful way. During these 10 days, the rich culture of the Malayalees are portrayed in various ways such as the intricately decorated Pookalam, lavish Onasadhya, breathtaking Snake Boat Race and exotic Kaikottikali dance. On Thiruvonam day, King Mahabali is believed to visit every Malayalee home to meet his people. Houses are cleaned and decorated with flowers and traditional lamps. People will wear new dresses and the eldest member of each family presents clothes to all the members of the family and this gift is called as Onakkodi. Onapookalam the colourful arrangements of natural flowers, petals and leaves on floor. This ritual is followed in almost all the households of Kerala,during the 10 day long festival . 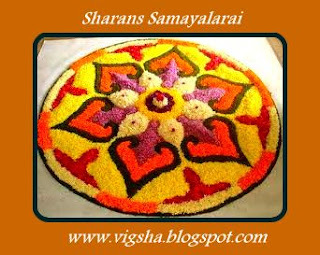 The flower mat is a symbol of welcoming King Mahabali. 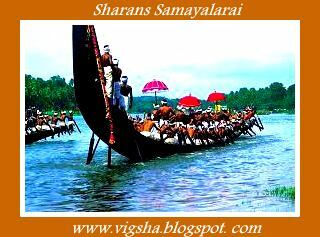 Boat Races known as Vallamkali Boat Race also known as snake boat race are organised during 10 days Onam Festival.The curled ends of the boats are shaped like cobra hoods and it is from this shape that boat has derived its name. There are Elephant processions on the streets, which gives Royal touch to the festival. The most impressive part of the grand festive Onam is Onam Feast. Onam Sadhya - a vegetarian banquet is prepared on the last day of Onam celebration Thiruvonam (Thiruvonasadya), which depicts the happiness of people towards King Mahabali whose spirit is said to visit during Onam. It's a feast which if enjoyed once is relished for years. Onam Sadhya is a very elaborate, delicious, and splendid feast consists of traditional authentic 13 varieties of essential main dishes. There can be anywhere between 13-25 dishes for Onam and this number can be higher. This is such a tempting festive food event. So lets all come together and celebrate the true spirits of Onam !! 1. Event runs from August 29th - Sep 29th, 2012(EST). So entries within these dates will be acceptable. 2. Prepare food which is usually prepared on these 10 days of ONAM FESTIVAL,like Aviyal, Chips, Curry, Errissery, Kalan, Kootukari, Olan, Papadams, Parippu, Payasam, Pickles, Pulissey, Rasam, Rice, Sambar and Thoran. 4. Multiple entries are welcome and linking back to this announcement is a must. 5. No archived entries please. 6. After posting your recipe just submit your entry to the linkies (you will find at the bottom of this post - "click here to enter") and leave a comment below. 8. Non-bloggers are most welcome to participate. Just send me the recipe with the below details to the above mentioned email. Start pouring in your entries for Harvesting Festival Onam. Advance Onam wishes to all friends who are celebrating !! Get ready for a tasty festive ride with me !! Thanks dear :) Looking forward for your entries !! lovely event..will try to send some recipes.. Very nice event. Will surely try to send of mine. Happy hosting Saranya. Happy hosting ..i will try to participate..
As per your comment on my space, just now I linked vegetable stir fry. Please check dear. Thanks dear :) Looking forward for more entries !! Just now I added a sundal recipe. Please check it Sharanya. Sharan.. could not add logo cause i am not able to save it.. if i right click, it says not allowed..
Sharan - thanks for the mail regarding the logo. the intent is not to avoid doing it. the logo in this page is not clickable and savable. I tried the link that you provided and that is not working either. i have spent too much time in trying to do this. please send me the logo so I can add it. thanks. Hi Sharan, added logo for my mixed thoran recipe..